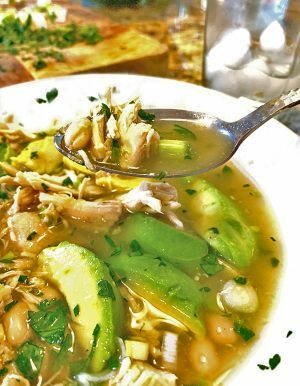 This white bean chicken soup is a healthy chicken recipe, full of flavor and warmth and made even better by the convenience of your slow cooker. Make this great northern bean recipe in the slow cooker. The beautiful thing about this white bean soup is that you can go as light or as heavy as you want, with the different options of ingredients. I’m trying to shed a few “LB’s” and so I kept my serving fairly bare, and it was still delicious. Our 13 year-old twin boys however loaded their bowls up, with delcious options like shredded Mexican cheese, tortilla chips, and a big dollup of sour cream of course! It’s the versatility and convenience of this healthy chicken recipe that makes it the ideal family meal. Dress this chicken and white bean soup up as heavy or as light as you want. The choice is yours! Roasted Chicken Breast (or easily turn this into a rotisseriec chicken recipe for added ease). 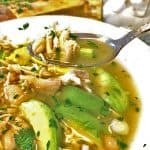 You can dress this easy chicken soup recipe, any way you like! 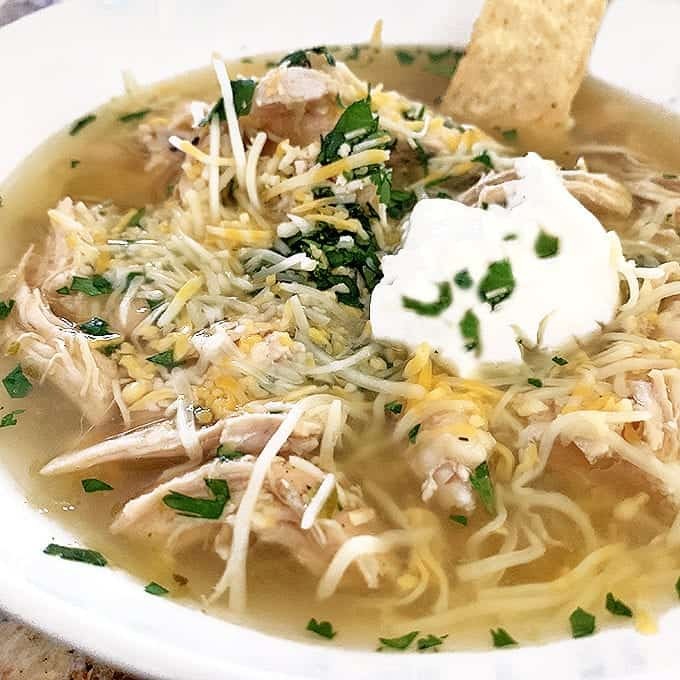 This slow cooker chicken soup started out as a white chicken chili but ended up as a thinner, broth-based soup. As you can see, the results were delicious, and healthy. Give this slow cooker soup recipe a try, you’re going to love it! 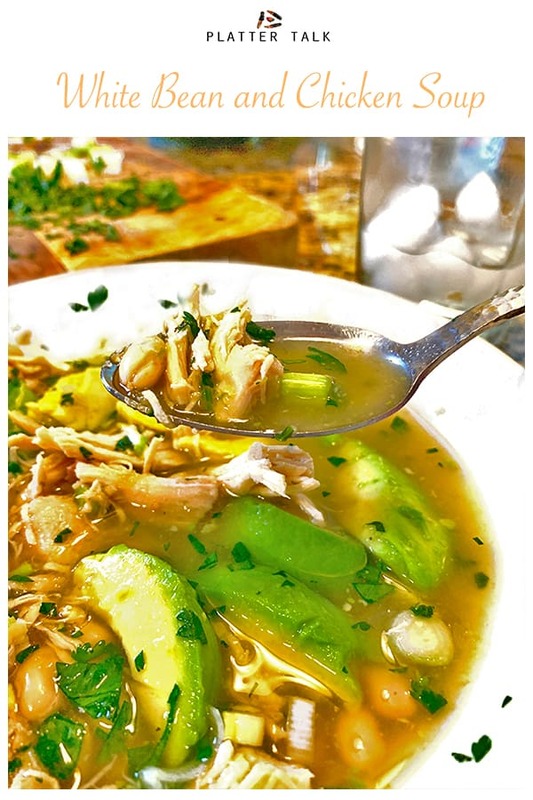 Enjoy this healthy crock pot chicken soup today! If you’re a fan of slow cooker soups, we have a few more great soup recipes for you to try! This slow cooker soup recipe is a meal the whole family will enjoy. Turn it into a rotisserie chicken recipe for added convenience! Drizzle olive oil over chicken breast, salt and pepper to taste. Cook in a 350 degree oven for approximately 30-40 minutes or until cooked. Let cool. Using 2 forks shred the chicken. Set aside. In a crockpot, add chicken broth, salsa verde, cumin, white beans and shredded chicken. Cook on low for approximately 6 hours or on high for approximately 4 hours. Serve as is or garnish with cilantro, green onions, avocado, sour cream or shredded Mexican cheese. Salt and pepper to taste. 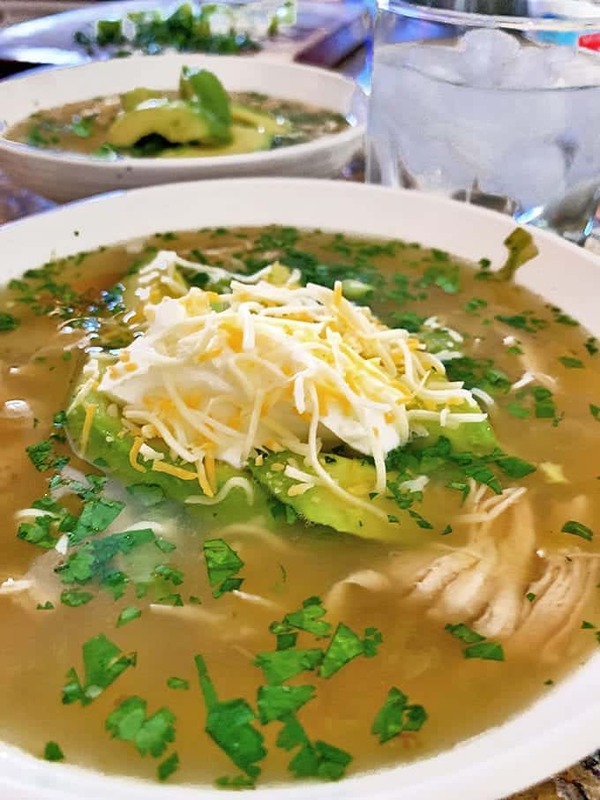 I really prefer thicker soups, especially pureed soups, but I love your chicken chili in the broth. It works! Love all of the goodies, too. Mime, Thanks for comments. 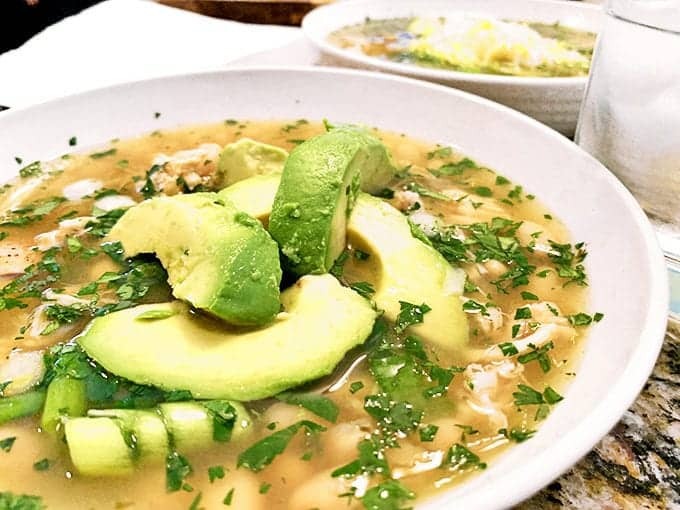 Our intent was to go thicker with this white bean soup but somehow morphed into a thinner broth-based soup and I’ve got to tell you, it’s pretty darn tasty! Yummmmm! 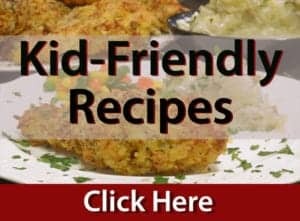 Great recipe & healthy, too! do was break the chicken into bite-sized pieces & add to the slow cooker with other ingredients. 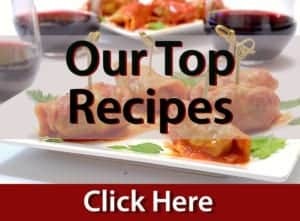 I love your recipes, recipes like these are perfect to stay off of my leg too long as I just had a total knee replacement. Thanks for all of the hard work & love you pour into your blog! Thanks for the lovely comments, Margo. Cheating is perfectly acceptable with this healthy soup recipe and what a great idea you have given us! Thanks again for reaching out and we wish you a very speedy recovery with your new knee!